Imagine a world where your data and communications live with you and only get shared with your friends when you allow, making your online experience feel more like how things actually work in the real world. Imagine developers rapidly innovating on the apps you use with your friends without the permission of a third-party, both fluidly and continually upgrading your app experience beyond what we’ve ever known. We believe the new internet is going to be more innovative, feel more magical, and be much safer than the old internet we know today. With Blockstack's developer alpha release of Multi-Player Storage this day is now approaching. 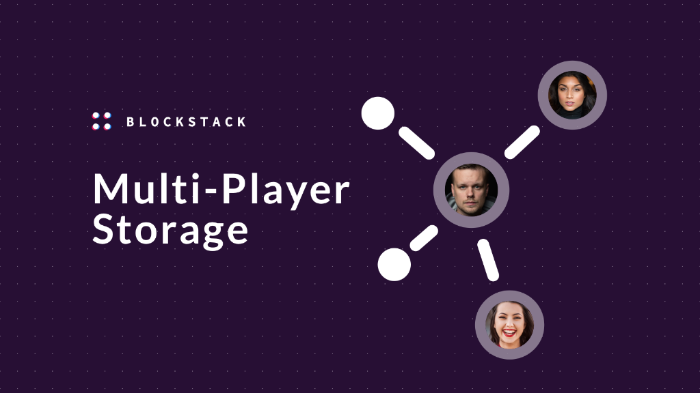 Read the announcement about Blockstack's new Multi-Player Storage release. Build a decentralized microblog using Multi-Player Storage. We encourage you to share the news with your friends and look forward to seeing what new apps get built next.